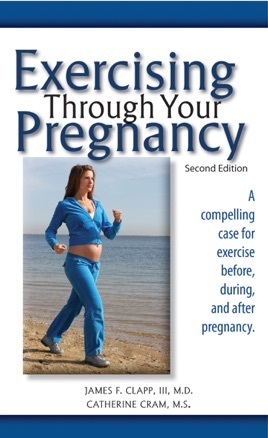 Examining the effects of exercise on women and their babies, this book presents case studies of women who exercised regularly before, during, and after pregnancy. The book provides guidelines for exercise plans that safely fulfill a mother's needs during different phases of pregnancy, answering such questions as, How does exercise benefit the mother? How does exercise affect growth of the fetus? What is the effect of exercise on milk production? Does exercise limit weight gain during pregnancy? What is the right amount of exercise? What are the dos and don'ts of exercising when pregnant? When should exercise be avoided? How late into pregnancy can you exercise? and What should be the exercise regimen after giving birth? Updated to include the latest scientific information on staying fit during pregnancy and emphasize appropriate exercises, this new edition thoroughly describes the changes that happen to the mother while she’s pregnant and how both she and the child can benefit through exercise.